Available after today's Nintendo Direct, a premium update to the Nintendo 3DS' Streetpass Plaza will speed up functionality and increase the number of players you can encounter from 10 to 100. Hooray! This will make playing StreetPass at PAXAus this year much easier. Just in time for my trip to Tokyo! That place is crazy. I would pass three high school students and an elderly woman and have 15 street passes. Oh man, that would be perfect. I didn't have a 3DS the first time I went to Japan. Dying to go back though. I hear it's crazy! Last trip, I got street passes from 30 prefectures in two weeks and I managed to get the 100 passes in a day achievement. if you are looking for streetpasses, there is generally a crowd outside yadabashi akiba in akihabara, who just sit around doing just that. Must have been 50-60 last time i was there. Wait, that would mean my StreetPass games would take an hour to finish. Can someone explain why the increase to 100 is so great? I'm not being negative, I just don't get the appeal of the mii plaza. Is it just to play mini games for longer? The StreetPass Plaza currently only collects 10 people, then it tops out and won't collect anymore until you go in and greet them all, swap puzzle pieces etc. If you're somewhere where there are lots of people around with Nintendo 3DSs, it means you can miss out on people. If you have your Nintendo 3DS with you at PAX, you can collect 10 streetpasses in a few seconds. A "premium" update? Like, paid for? Huh? But then again, could just be a click-baitey word to bring in more readers. @mrwaffle There already is a paid for add-on called "StreetPass premium" which adds things like VIPs and collecting birthdays. 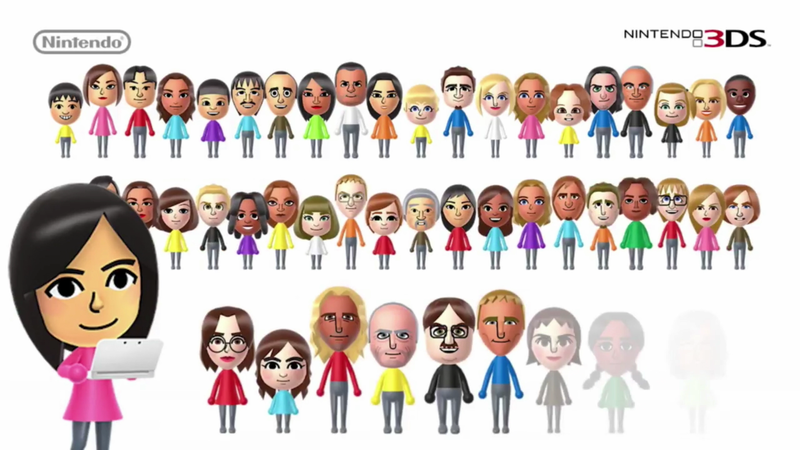 This 100 Mii thing is an update to that.